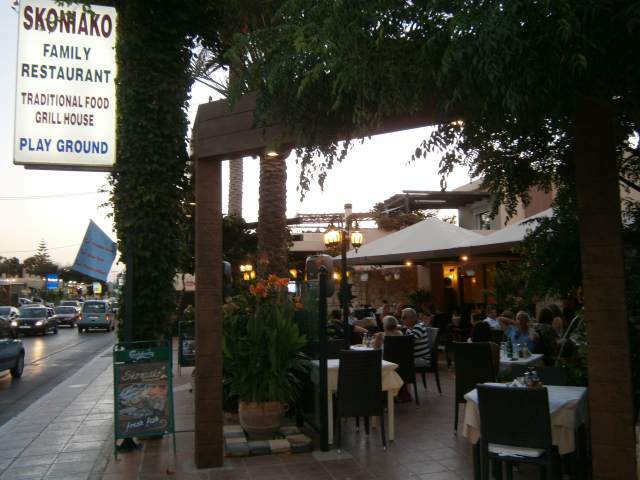 Skoniako in Platanias, the tavern of Ideal beach hotel, serves Greek and Cretan dishes as well as Mediterranean cuisine, prepared with fresh local ingredients. For meat lovers the options are limitless: the Zomythos lamb, the kebab and the stuffed beef burgers, the pork fillet and the Skoniako meat variety among others. 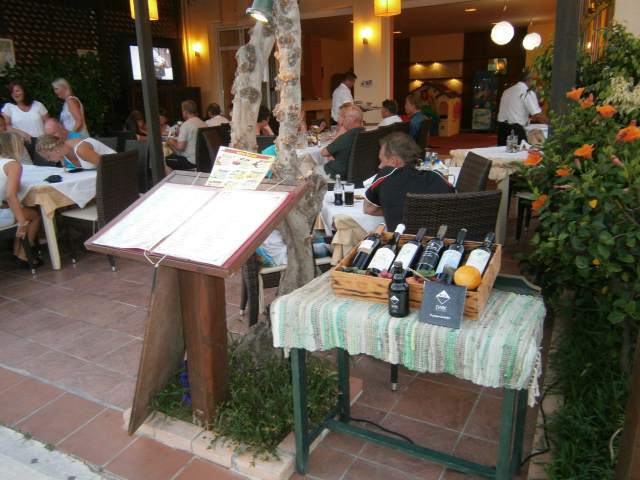 Taste the Sambuca pasta and the Smurfhouse for our young friends. For those who prefer seafood, try our clams with pesto and sole fish. 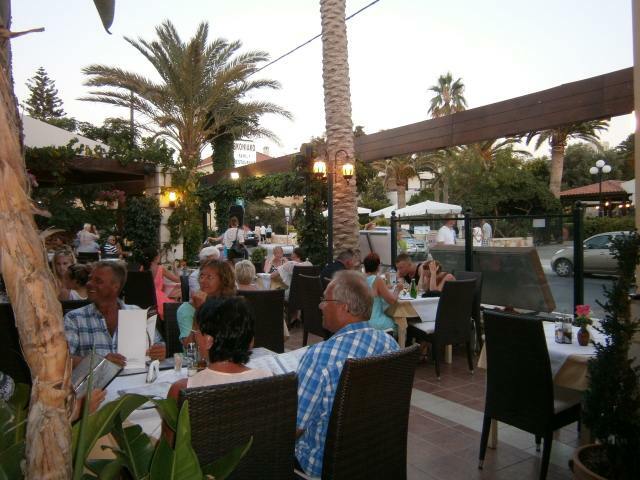 Every Monday we have romantic Live Greek music to accompany our guests. The warmth of the restaurant will enchant even the most demanding visitor, while children can play in the carefully organized playground. Fish was well prepared though a bit pricey. Local table wine was very good and affordable. 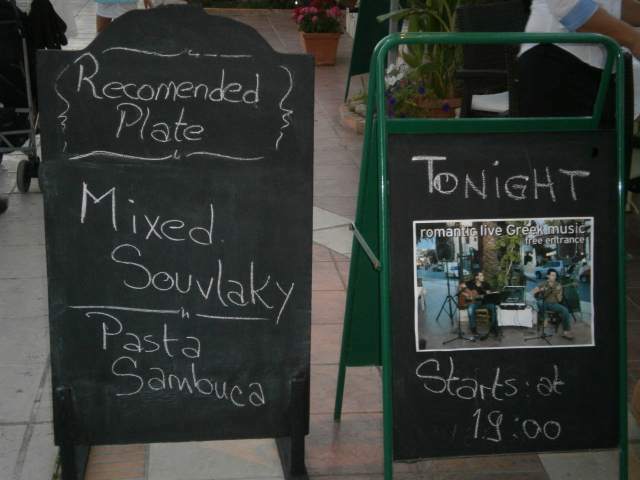 Mostly caters for Scandinavian tourists, as most places in Platanias. The dish with shrimps and local cheese was very tasty and pasta was good. Lamb in the oven was among the best we had in Crete and tzatziki goes well with it! 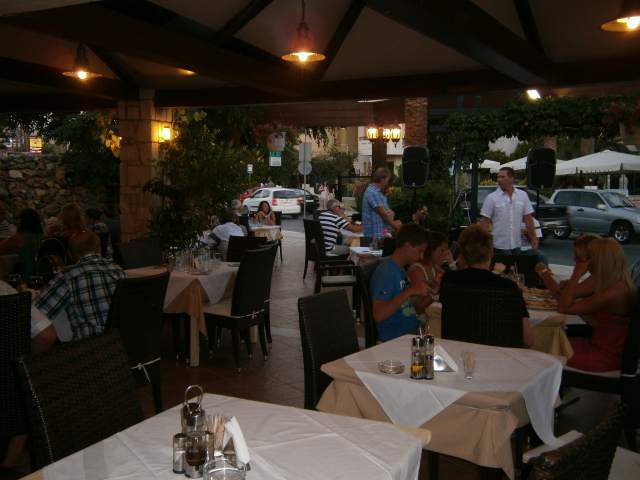 The staff was nice and not too pushy unlike other restaurants in the area. We liked it so much that we were there on three occasions during 8 days. 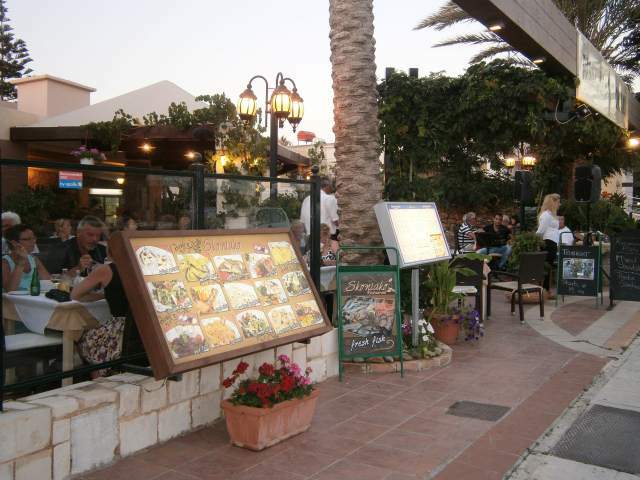 Best restaurant playground in Platanias, Our child wouldn’t leave the place. Good prices. Try the local music night, staff are good dancers too! Very cozy atmosphere and service minded staff. I had an excellent swordfish and my husband the stifado, both delicious. Price was reasonable for the standards of Platanias. 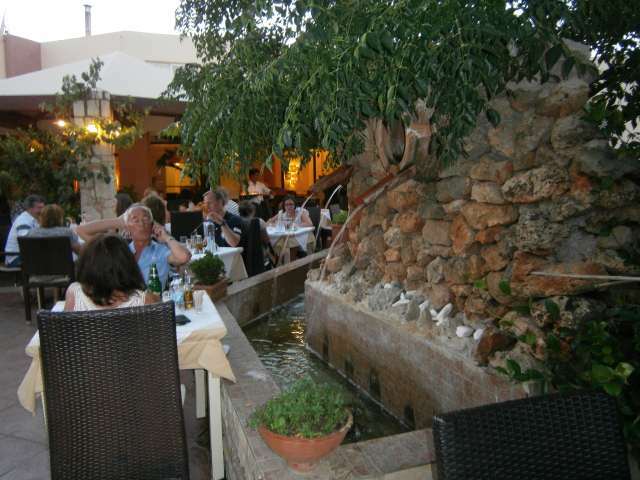 We had diner in Skoniako last week, oredered the lamb from the oven and the clams with pesto, both delicious. Our waiter was very friendly, we will definitely return for more!